Hunchback of Notre Dame was a memorable movie based on a French romantic novel by Victor Hugo. 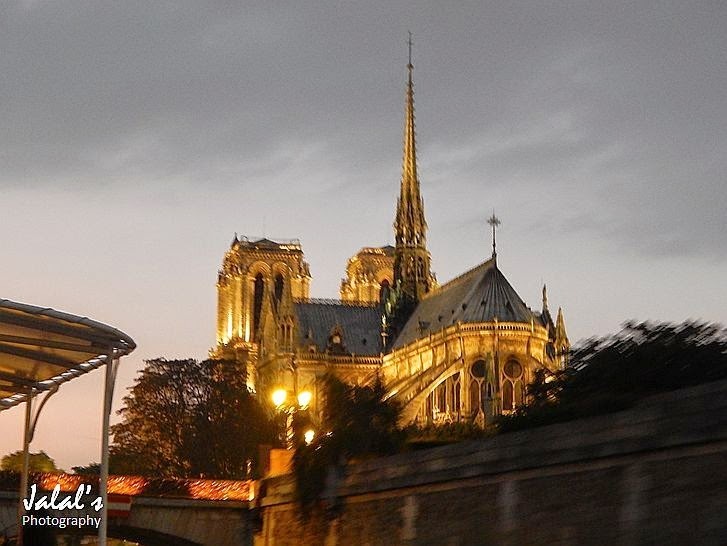 The story was based around the Cathédrale Notre Dame de Paris. The character of Quasimodo - a bell ringer of the Notre Dame who was a half blind hunchback was performed by the legendary Hollywood actor Anthony Quinn, while the romance was induced by Gina Lollobrigida as Esmeralda - a gypsy girl, singing in the streets of Paris. I saw the movie in 1970, though the movie was produced in 1956. The movie always remained my favourite as Anthony Quinn was one of my favourite actors. I often wondered how the Cathédrale Notre Dame would actually looked like. Well, I had to wait for many decades later till I visited Paris in September 2014 and made it a point to see the Cathédrale Notre Dame. 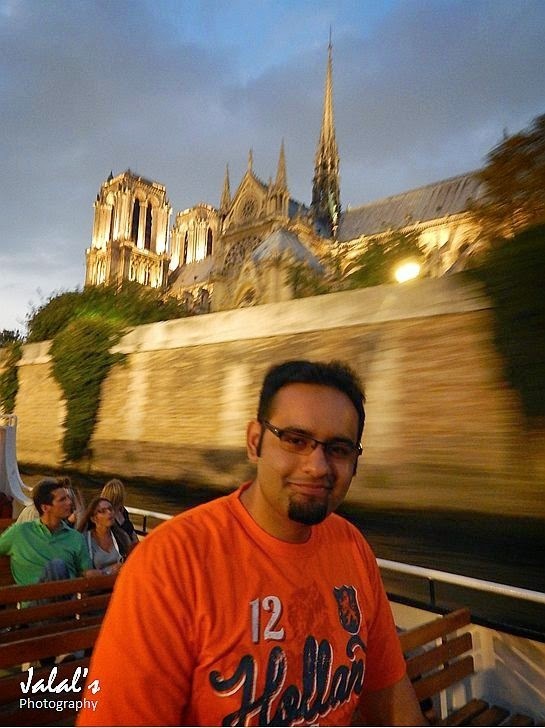 I had the first glimpse of the Cathédrale Notre Dame during the boat ride in the famous River Seine of Paris and instantly recognized it as the architecture of the Cathédrale Notre Dame was still vividly saved in my memory. 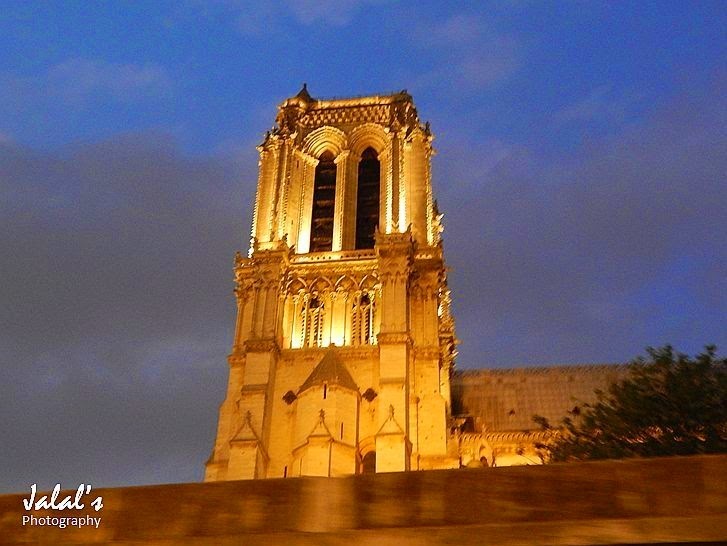 As we passed by the Cathédrale Notre Dame, I hurriedly took a few shots - but that was not to be the end. I made it a point that before leaving Paris, I get to see it right there in front of me. And so did I on the last day in Paris, while saying goodbye to this city of lovers and love.